Overlooking a lake, with a conical volcano looming in the background, Puerto Varas enjoys memorable scenery but retains its authentic atmosphere. Founded in 1853, the city of around 37,000 people has strong Germanic roots--its initial population consisted of 212 German migrant families. The city's traditional wooden architecture, built in German style, reflects that heritage. During your Puerto Varas vacation, you can make the most of a range of outdoor activities available in the area, including canyoning, kayaking, and hiking. 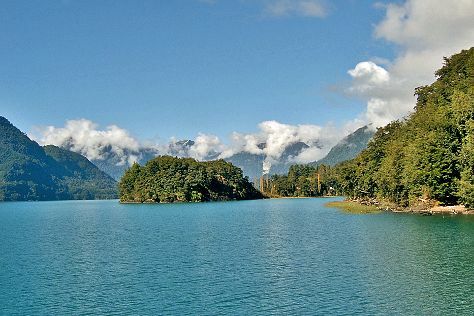 Puerto Varas is in Los Lagos Region. Add Puerto Varas and other Chile destinations to your travel plans using our Chile day trip website . To enjoy views of the volcano, stay as close to the edge of Llanquihue Lake as possible. Most higher-end accommodations sit right on the lake's shores, with a range of resorts and boutique hotels offering a touch of luxury. Look a few streets back from the lake for a choice of budget hostels and small guesthouses. Reserve your place in advance to avoid disappointment, regardless of the season.